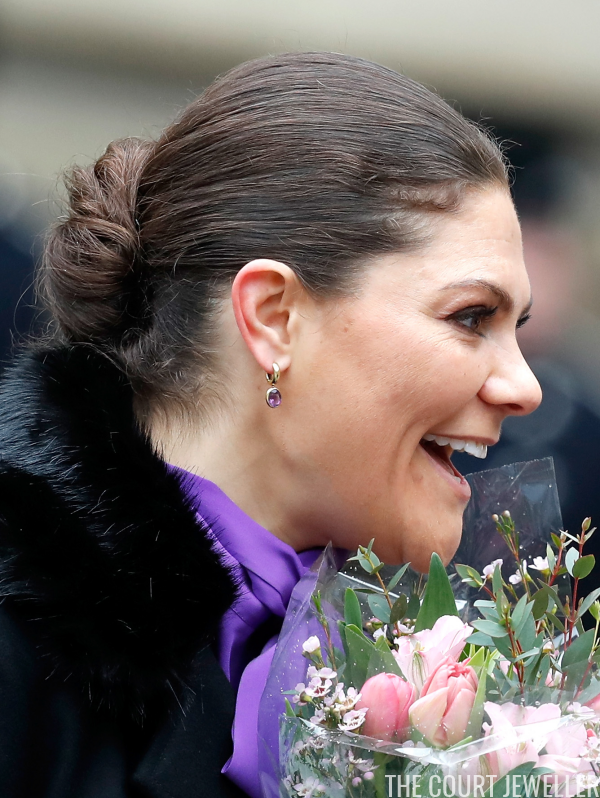 On Monday, Crown Princess Victoria of Sweden attended her annual Name Day celebrations -- as well as a few other important family events! Here's a look at her jewels from the day. Name Day celebrations are a long-standing tradition in Sweden. 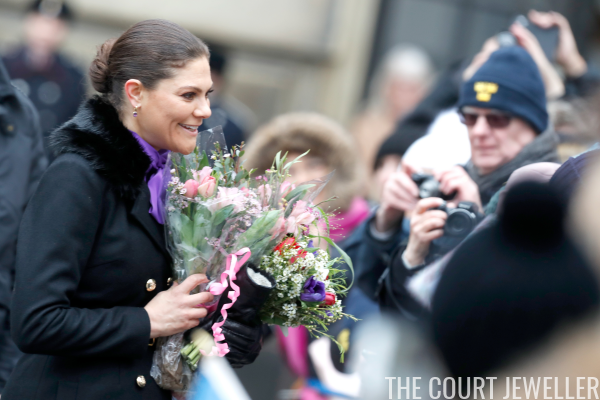 Victoria's name day is March 12; you can see the Swedish Academy's current Name Day list to find your day over here. 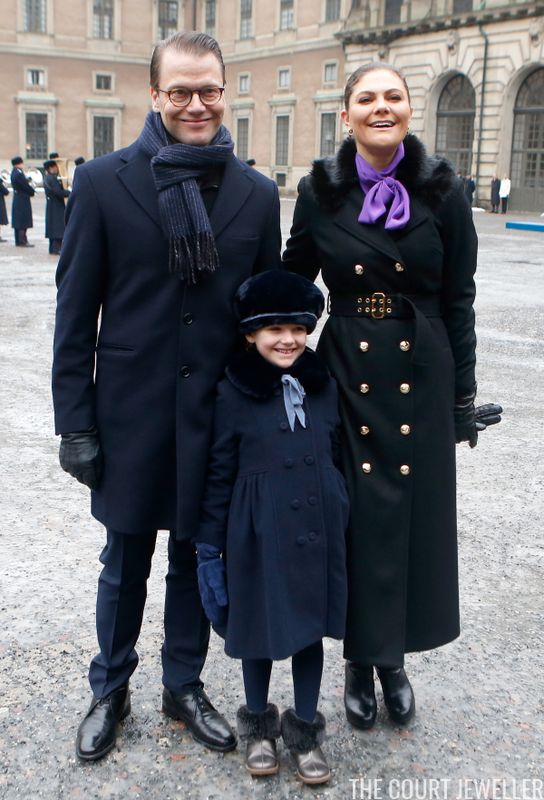 Victoria's celebrations took place at the Royal Palace in Stockholm. 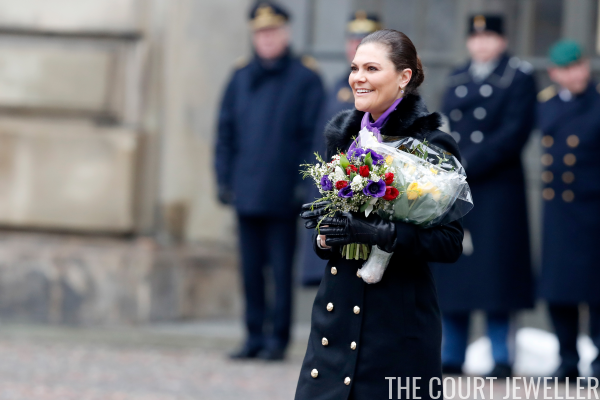 For the occasion, Victoria chose royal purple for her ensemble and accessories. These bezel-set amethyst and gold drop earrings provided a little splash of color to coordinate with her blouse. 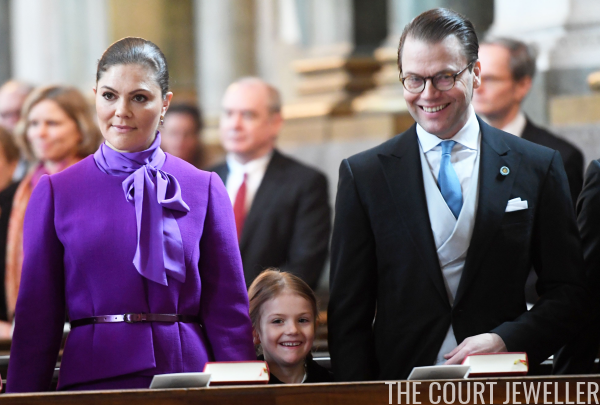 Victoria's best accessories, though, were two of her biggest fans: her husband, Prince Daniel, and their daughter, Princess Estelle. 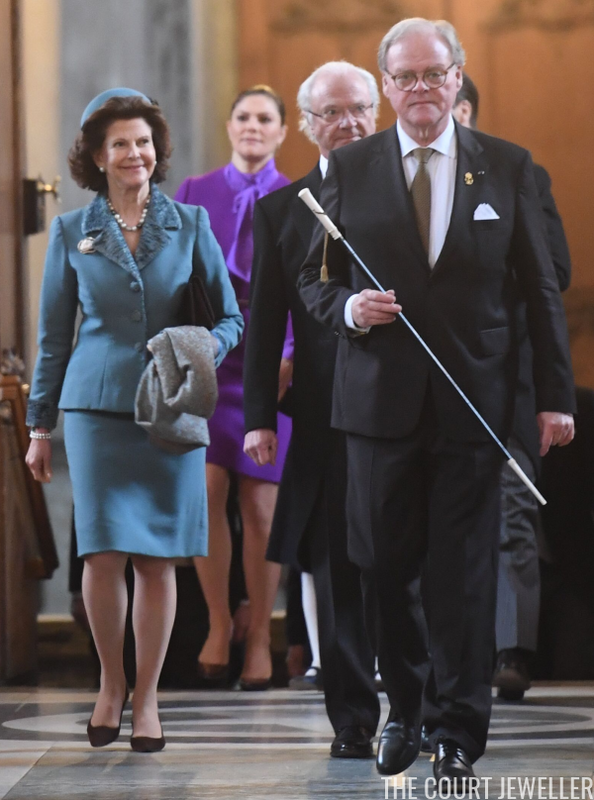 Victoria, Estelle, and Daniel also joined Princess Adrienne's father, Chris O'Neill, as well as King Carl Gustaf, Queen Silvia, Prince Carl Philip, and Princess Sofia for a Te Deum service in Adrienne's honor. 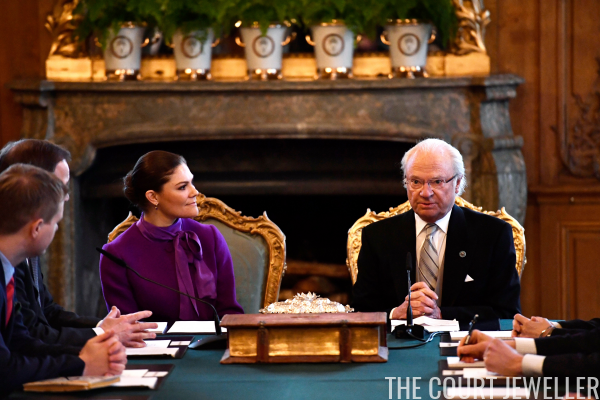 Here's a look at Queen Silvia's jewels from the service. She chose pieces from her multi-colored pearl collection and a modern brooch that has been a favorite over the past year or so.